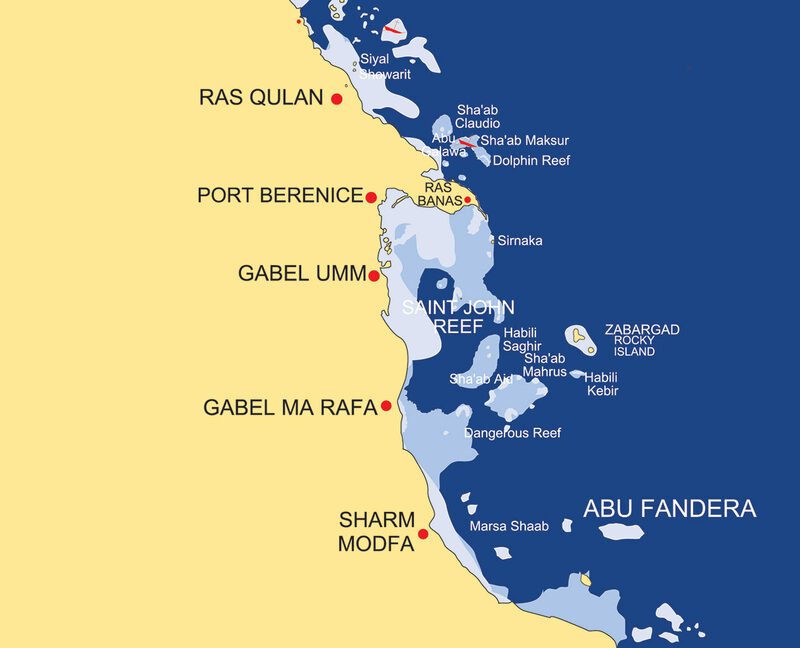 South of the St.Johns area there is the 6 km reef line from west to east of Abu Fandera. Between the six long reefs you find passages which have different topographies full of coral blocks between 15m and 20m depth. 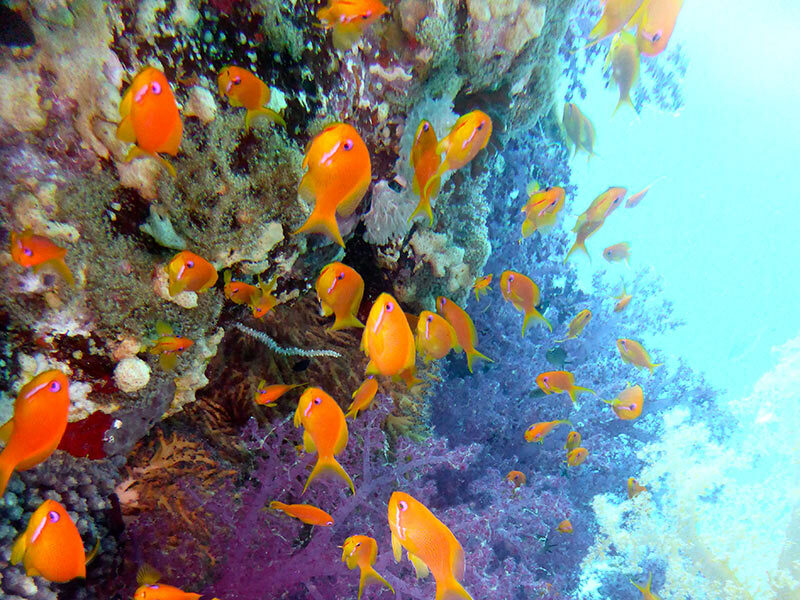 Amazing soft corals in all kind of colors, schools of reef fishes and small critters are common. Often you see small reef sharks and napoleons in all kind of sizes and the highlight is the humphead parrotfish which is passing by in big schools of 30 or more. On the way back we reach the St.Johns reefs. Big Habili and Small Habili with their fantastic drop offs overgrown with big gorginias and colorful bright soft corals promise you to be a fantastic dive. You find a lot of marine life at the reef itself and as well in the blue you may see barracudas, different sharks, sometimes dolphins or manta passing by. Umm Erug seems to be the place of unusual coral blocks. Next to the main reef in a depth of 12m to 30m you find many different block formations who remind you of everyday life`s figures. Schools of small reef fishes, camouflage artists and small critters you can explore. Around two hours drive to the north there is the area of St.Johns Cave. The name cave is program and Umm Hararim impresses with its unique cave and canyon system. The main reef surrounded by a beautiful hard coral garden is on its south-west side full of holes like a Swiss cheese. In shallow water you can dive through the open passages to see the light show of the sun and the nice soft corals growing inside.